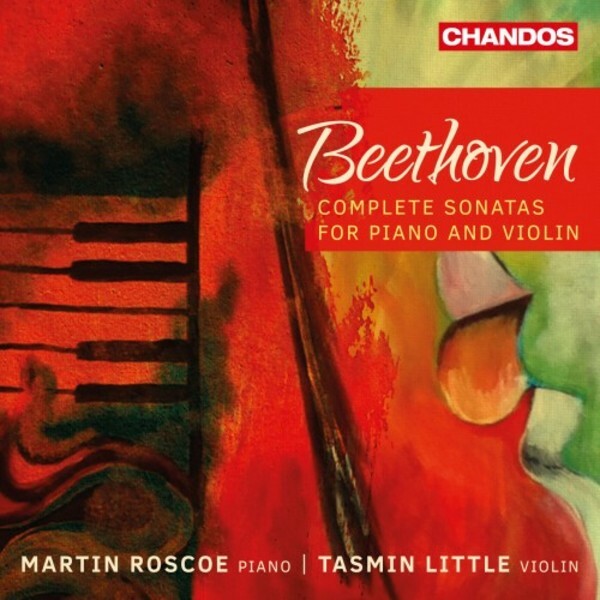 After a ‘sublime’ (BBC Music Magazine) complete set of Schubert’s violin sonatas with Piers Lane [CHAN 10850(2)], Tasmin Little joins Martin Roscoe in this recording of the complete violin sonatas by Beethoven. In all, Beethoven wrote ten sonatas for piano and violin, and seems not to have entertained ideas for other works in this genre. All but one may be regarded as early works: only op.96, in G major, which was composed almost a decade after the last of the other nine, does not fall into this category. As a group, then, the violin sonatas do not offer a conspectus of Beethoven’s stylistic development such as we find in the string quartets, piano sonatas, symphonies, and even cello sonatas. But each work is a masterpiece in its own right, original, full of vitality, idiomatic for both the pianist and violinist who are equal-ranking participants in the ensemble, and executed with consummate compositional skill.